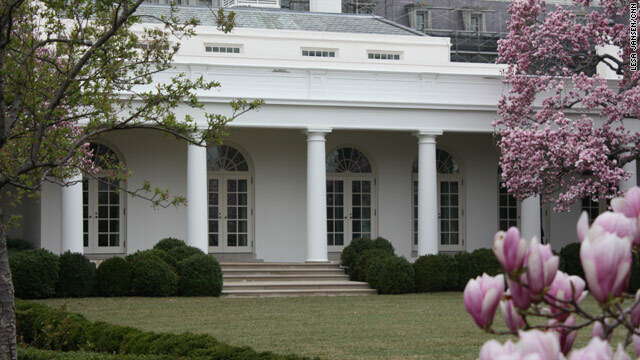 WASHINGTON (CNN) – As the countdown to a government shutdown continues, the White House Office of Management and Budget (OMB) has sent notice to federal agencies to start preparing and sharing contingency plans if the government does shutdown come Friday. In an email obtained by CNN, OMB Deputy Director for Management Jeffrey Zients tells agency officials that “given the realities of the calendar, good management requires that we continue contingency planning for an orderly shutdown should the negotiations not be completed” by Friday. The memo was sent Monday afternoon to all Deputy Secretaries and Chiefs of Staff, according to a government official. While the details of such contingency plans remain unclear, Zients encourages agency officials in the memo to communicate with senior managers throughout each organization “on the logistical and managerial issues” related to a potential shutdown. “We know that the current uncertainty and threat of a shutdown is a tremendous burden on federal employees, and are very much aware that a shutdown – should it occur – would impose hardships on many employees,” writes Zients. The last government shutdown happened in the 1990s during the Clinton administration. White House Press Secretary Jay Carney seemed to downplay the significance of the contingency planning Tuesday. “There are procedures that are required to be taken, and it would be irresponsible not to take, to alert agencies and for Secretaries and Deputy Secretaries to pass on information about what would happen if funding were cut off,” said Carney in a briefing with reporters. Carney maintains hope that a shutdown will be avoided, saying there is still ample room for all sides to find common ground in the budget negotiations. President Obama hosted congressional leaders at the White House Tuesday in order to push leaders to reach final agreement. A readout of the meeting was not immediately available. Similar shutdown planning is underway on the other end of Pennsylvania Avenue. An aide to House Speaker John Boehner told CNN, Boehner has asked the House Administration Committee to issue guidance to all congressional members on how the House would operate if the government was forced to shutdown. How is a goverment shut down going to help anything?! Where I live we RELY on the goverment! Without the goverment we wouldn't be heard and without anything as such the gang violence in my city will go UP! This is pure...stupid. So we're not going to pay the soldiers that are across the ocean. How can you do that to them, when there risking their life for us. And what are the family of them soldiers going to do for rent, food, gas to get to work. And I bet we're going to rebuild the countries where we are fighting. To make more allies. That is BS. Who help us when 9/11 occurred? Political group remember these famous word: ASK NOT WHAT THE COUNTRY CAN DO FOR YOU. ASK WHAT YOU CAN DO FOR YOUR COUNTRY. I think what should happen is the government parties should donate half of their pay, saving and retirement to run the country. What gets me is the comericial where the guy is telling the group about how all the countries making the same mistake and that the USA is working for that country. And that is true. We are indete up over our heads to China and Japan. So I have said my piece. I better quit while I'm ahead of the game. What a shame this wont affect the U.S. Postal Service, as my guess is that government productivity will drop by 10% (compared to normal productivity rates) once the government has shutdown –with all paychecks being stopped (for those who contribute to the normal government productivity rates), the cost benefit ratio should outway the 10% loss in regular government productivity rates (we could save a bundle if the postal system were affected to, is my opinion...). What a shame this wont affect the U.S. Postal Service, as my guess is that government productivity will drop by 10% (compared to normal productivity rates) once the government has shutdown –with all paychecks being stopped (for those who contribute to the normal government productivity rates), the cost benefit ratio should outway the 10% loss in regular government productivity rates (we could save a bundle if the postal system were affected too, is my opinion...). It's an ethical issue & duty of those better off in society to contribute to their country's maintance & help the less foruntate. Let's face it, the US government is controlled by Corporations. The working class now pay 30% in taxes while billionairs pay 15% AND get HUGE tax breaks. Look at "Billion Dollar" GE. They didn't pay ANY taxes AND even got a HUGE rebate! Additionally, minimum pay is purposely set to purposely keep the working class at poverty level. How is defunding National Public Radio helping balance the budget & help our society? It isn't. It will only prevent people from gaining knowledge & maybe purposely done to keep the public uninformed. If Congress was to truly commited to balancing a sound budget, they'd put on their "Big People's Pants" & enact law to tax CORPORATIONS at least 30%! That's how the US was made a great nation & all of our schools, roads, dams, bridges, healthcare etc were financed in the past. Having lived in 3rd world countries most of my life, I love my country. But now it's become a shameful nation of inequality & corruption. Without strict Federal regulations of Corporations, the US will fall into a 3rd world country. Let's be fair in America President Obama and Congress... GOD is watching the US Government and HE is JUST!!!! How would you feel if you didn't get paid? All the gold, silver and money belongs to GOD anyway! I don't see the trust in GOD that America seems to print on its money!!! America is depending on you US government!!! @Bernard Flora; the trust in GOD as well as the 'IN GOD WE TRUST' left this nation of hypocrites eons ago. They trust in money now! For them, it's 'IN WEALTH WE TRUST'; 'IN POWER WE TRUST', to get by any means necessary. There are a small number of our politicians in government who still cry LORD! LORD! in their efforts to do the right thing, but their small voices are crying out from a wilderness; and SATAN'S voice is the strongest and the loudest. To many, loud means power and 'it's right'! GOD WHO?!? going to end up in a kayottic problem and people will lose faith in our goverment. if this was a bussiness and you were hired to run the company you would be fired.